I’m very excited about this post! I want DOS to be the place where WoC can go to get an insight into beauty products that they may want to add to their collection. So I’ve decided to make a post for my blusher recommendations of WoC or women of deep skin tones. 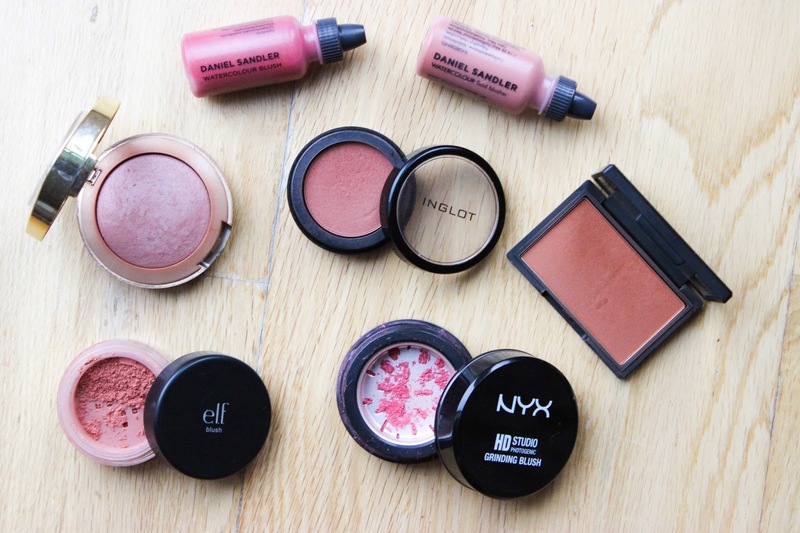 Now this may not appeal to all and these recommendations are certainly not the be all end all of blushers, but they are blushers that I own and love to wear regularly. I’ll be separating this collection of blushers into manageable sections by colour so feel free to scroll to the colour you are most attracted to! This blush is so hard to describe colour wise but if I had to put it into words I would say its a rich matte deep magenta with pink undertones. It is super (and I mean SUPER) pigmented and ultra soft. 63 is particularly amazing for deep, rich chocolate tones to bring a flush of magenta to the cheeks. A little really does go a long way with this blush but it is definitely a winner. ELF’s HD blush in Showstopper is a deep matte aubergine purple once again fabulous for rich, deep skin tones. This blush is perhaps the most pigmented blush I own, it took me a good few tries to work out how to use this successfully. A pinpoint amount of product is all you need for both cheeks. Amazing value and long lasting, this is a great blush all round! A deep bronze blush with gold shimmer, this is the perfect blush for a night out, it brings warmth to the cheeks as well as a glow without overpowering with pigment. This is also a similar dupe to MAC’s Format blush. One of the WoC go to MAC blushes, Format is my favourite blush to use on a night out, it has a dark rose undertone bringing warmth to the cheeks without making you look like a clown. The bronzey tones really help to give a sun kissed glow to the skin. Format really does compliment deeper skin tones, it’s also beautifully pigmented and easy to apply and blend! 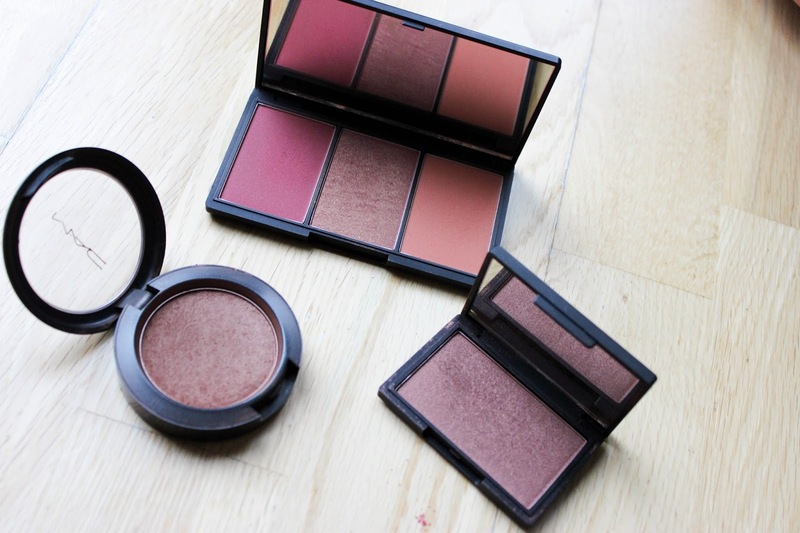 Honour is a LE blush from the Sleek 2012 Collection (sorry guys) but wanted to show you guys how it looks, if you do not have Honour, you can find a similar dupe with Sleek’s Sunrise and/or Muscovado. Honour is a deep bronze/rose gold blush which goes on sooo smoothly to create a natural glow for the cheeks. Many say Sunrise is an exact dupe but I find Sunrise slightly more on the pinkish side. If this blush is a bit too dark for your skin tone you can use it as a mild bronzer instead. 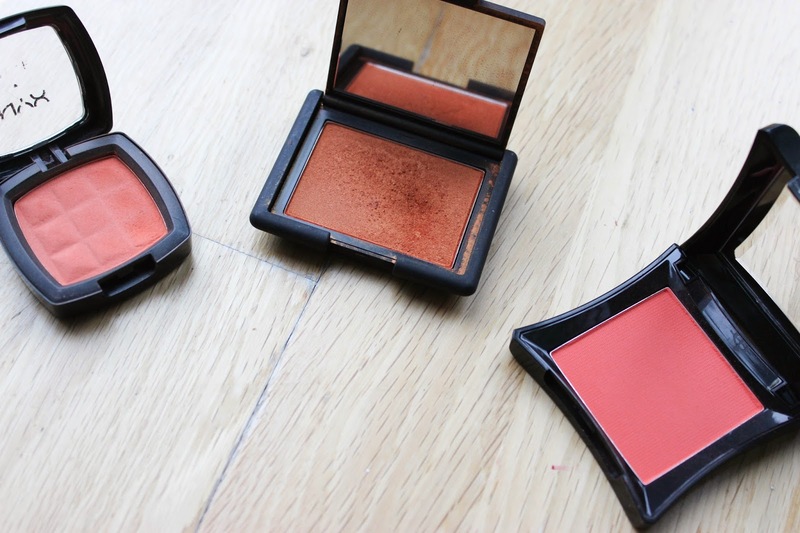 One of my most affordable orange blushes. NYX Cinnamon is a matte bright orange blush, perfect for everyday wear. Some may be afraid when I say orange on the cheeks but this is the PERFECT colour for creating a really subtle, healthy pop of colour to the cheeks for deeper skin tones. I tend to wear Cinnamon in the day, I layer it over a slightly warmer blush, this way Cinnamon acts like a pop of colour to the center of my cheeks. The instant warmth it brings is fab! Probably one of my favourite blushes of all time! Taj Mahal is an investment blush for me. NARS blushes do not come cheap but I knew I had to get Taj Mahal the first day I saw it swatched! Taj Mahal is a warm toned shimmery orange which works ever so amazingly well on deep and deep dark skin tones. I normally use Taj Mahal when I’m going out due to the shimmer, my favourite way to apply it is over MAC’s Format to give that pop of colour I was telling you about above, however this is also a fantastic blush to wear on it’s own, perfect for that summer glow look! Taj Mahal is amazingly pigmented and a little goes a long way, I absolutely love it, you can see me wearing Taj Mahal HERE. Another matte orange blush, Excite is more cooled toned compared to Taj Mahal but it has red undertones. This adds to it’s pigmentation making it super bright which can be a bit frightening in the pan but fear not! Once applied to deeper skin tones, this blush blends out to the warmest of oranges, giving the skin a healthy flush of colour. Excite is soft and buttery on the skin and a little goes a long way, the picture above unfortunately does not do it justice, however for swatches you can see my review HERE. Two very different pink based blushes but both easy to apply and amazingly long lasting. Dare is warm and deep on the skin, perfect for deeper skin tones as it eliminates any ashy-ness that cooler toned pink blushes can bring to deeper skin tones. The tiny flecks of shimmer make this a perfect blush to wear everyday for that subtle healthy glow. Glamour on the other hand looks like a WoC’s nightmare and if I’m being honest I was gutted when I saw how pale it was in the bottle but this lil blush deceived me! Glamour is a matte warm terracotta pink (almost apricot) liquid blush perfect for everyday wear. As this is warm, it blends out to lend the perfect flush of pink to the cheeks on deep skin tones, however, if you are of a dark deep skin tone you may want to reach of Dare instead. I’m not sure whether this blush is discontinued, I hope not! I picked Terra Sole up from Beauty Joint last year and have not looked back since then. 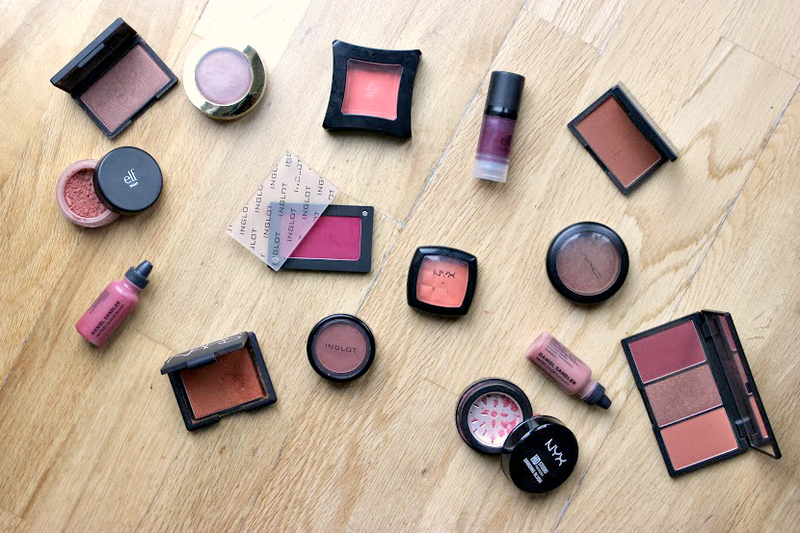 Not only are Milani blushes fantastic in price they are also really pigmented. Terra Sole is my “bronzing blush” and the blush I reserve for summer. This matte terracotta blush has a slightly peachy undertone which is great for adding warmth without overdoing colour. This is another great blush to use as a bronzer if you are of a lighter complexion. If you are a dark deep complexion you may want to avoid this blush, as it is matte, it may not provide any obvious pigmentation to the skin. My favourite everyday blush, this matte warm terracotta blush is perfect for WoC. It gives me a healthy natural looking flush of colour which sits well with my NC50 skin. This blush is very pigmented and soft and easy to blend. I find I do not need a lot of product on the brush when using this. The blush that all WoC need in their life! Affordable and super pigmented! Now, I think the shade of Sahara may have changed over time and unfortunately it’s not as orange as it used to be, it’s now more of an orange terracotta but nevertheless I still love it! Perfect for all WoC from olive skinned beauties to the richest cocoa of beauties, Sahara is essentially about layering until you get the effect you desire. Applied lightly and you get the warmth you’re looking for, for deeper skin tones feel free to go in with a heavy hand for a pop of colour on the cheeks, this is demonstrated fantastically by the ever so stunning Erica of Glamorous Gleam HERE. One of my more affordable blushes. When I first viewed it I was scared that it might be too ashy but blushes can be deceiving especially pink blushes. On applying this blush I was very impressed. This is a warm peach toned pink blush with shimmer, perfect for the healthy glow look. This blush is super easy to blend and goes on smoothly, not as pigmented as some of the other blushes in this post but for £5.00 you can’t really complain! This would be a fabulous blush for my olive skinned beauties! Last but not least the NYX HD Studio Blusher in Apricot. I was initially sent this blush to review by the loves at NYX, this was a new product so I wasn’t too sure of what to expect but when I did apply it I fell in love. Apricot is a heavily pigmented matte peachy pink that creates that signature pink cheek that lighter skin tones ladies may achieve with other pink blushes on the market. Apricot is also a warm pink meaning it works well as an everyday blush eliminating the frosty cheek look. Good review…very detailed and useful…i like!!! Really nice review. I've got the elf HD blush in Showstopper and it is super pigmented, but I find it hard to blend. fab post but would have been made even better if you had swatches of them too. Thanks lovely, will definitely bare this in mind next time! Haha! You know how we do! You're the reason why I bought the Illamasqua blush!! 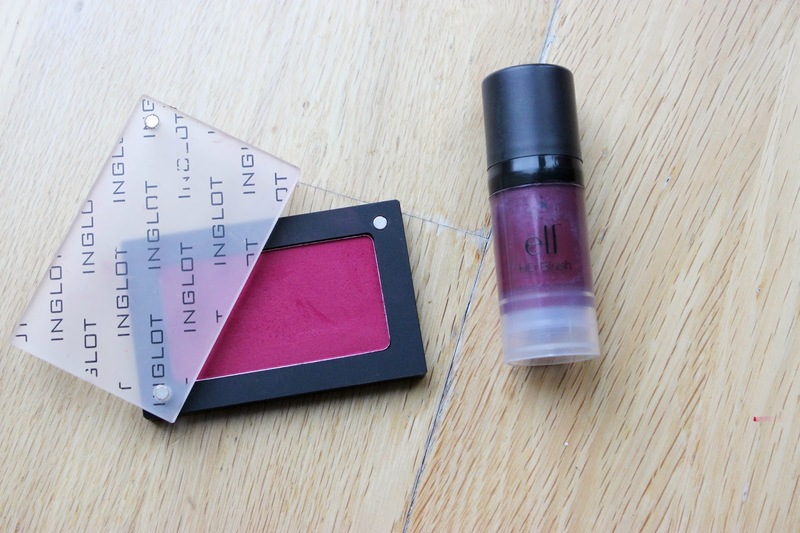 Such a helpful post 🙂 I love the Inglot blush, the colour looks crazy beautiful! Glad you enjoyed in Kayla! Oo deep plum blushes sound gorg!!! These are amazing! Sleek flushed/mac raizin are super pretty. Taj mahal is so beautiful. Lovely recommendations, can't wait to pick up some of them, thanks. Sign-Up to Discoveries of Self Blog For More Beauty News! !